Let's return to our originally scheduled programming. 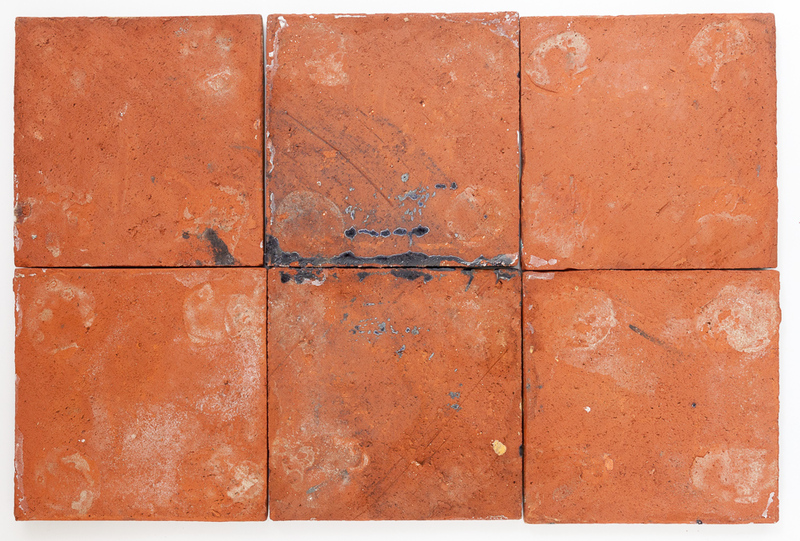 Here we have a bright and glossy set of six tiles - a racetrack by Taylor. It's the same design as on this table. If you look closely, however, you'll see that the corner tiles have a different color combination than the stretcher tiles - yellow, red, and turquoise are flipped. These stretchers would have been a better match for the corners that I have in the other table. Oh well, mix and match. 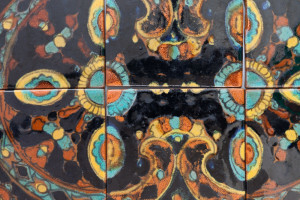 The design appears on page 239 of the California Tile, The Golden Era 1910-1940 (vol. 2) and page 265 of the Encyclopedia of American Art Tiles, Region 6. 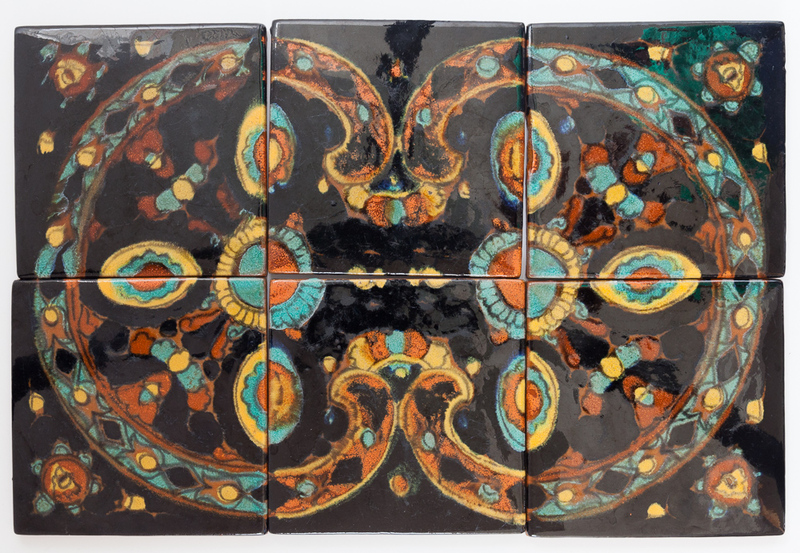 The corner tiles are also shown in Santa Monica Tiles (Taylor Tilery) Catalog Number 2 as "25-A Cor." 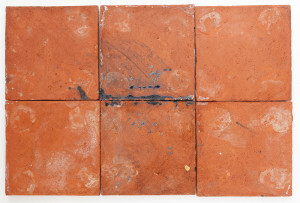 These red clay tiles came out of a table that didn't survive the test of time. Surprisingly, they are in great shape, with only very minor surface wear. They are so glossy it's hard to avoid glare and reflections when taking photos.